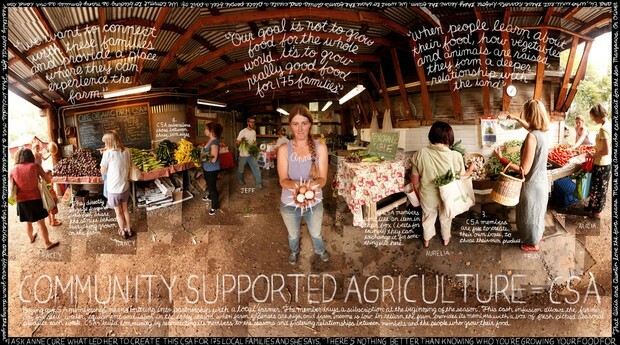 A CSA is a locally-based model of agriculture and food distribution, or basically a miniature, community-shared farm. Individuals pledge to support one or more local CSA, with which growers and consumers share all the risks and benefits of the farm. CSA members pay for their share of the harvest at the beginning of each growing season, and they receive their share of the produce, herbs, cut flowers, honey, eggs, dairy products, or meat weekly. Two of the most positive attributes of CSA's I believe to be community togetherness and health. The idea of the community working as a whole to create and produce all of these fresh items, and sharing these items with others in the community provides many benefits in itself as well: the money is staying within the community, the resources aren't being used to transport the goods over long distances, and the items are fresh. Since CSA's are ona much smaller scale than most big-name farms, there is little to no use of harmful pesticides, which means better health for the community as a whole and the individuals who purchase these goods. I personally am a locavore--I would like nothing better to spend my Saturday mornings at local farmers markets, rather than go to a large chain grocery store. 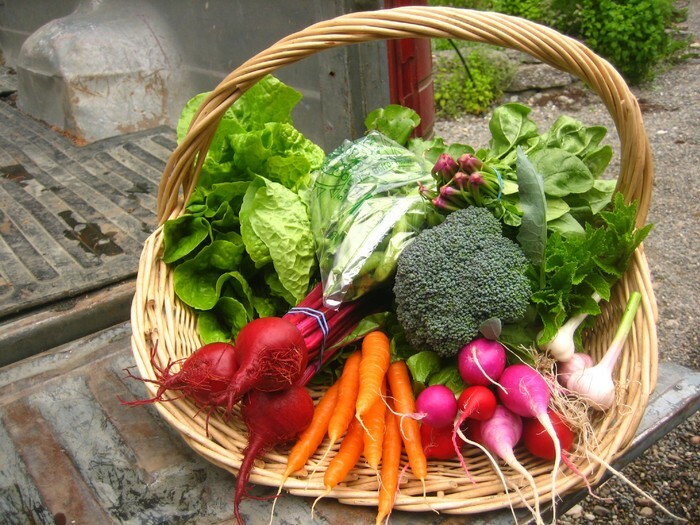 Now you want to start a CSA in your community, right? Here's how. First you want to think about what you are accustomed to growing (assuming you have some experience), and what the consumers in your community are interested in. Then you can start deciding how customers will pay for their shares, what the shares will include, how often shares will be produced, and how they will be transported from your hands to their homes. Once you plan out these basic logistical steps, you're ready! What is a CSA? Just food. Retrieved August 28, 2013 from justfood.org.